Dr. Carl Totton, ATIH Teacher, is a clinical psychologist, professor, Taoist priest, and shamanic energy healer. He is the founder and director of the Taoist Institute of Los Angeles where he teaches many traditional Chinese martial, healing, meditative, and spiritual arts. He practices psychotherapy, Reiki, and energetic healing of the mind, body, and spirit as a certified holistic health practitioner. He is a remote viewing instructor and has attended five graduate programs at the famous Monroe Institute in Virginia. Dr. Totton has studied with Drunvalo since 1999. He originally took the Flower of Life course with FOL facilitator Bob Frissell, and then went on to study many classes directly with Dru including Living in the Heart, Earth-Sky, Earth-Sky-Heart, Awakening the Illuminated Heart, The Way to Do is to Be, Cosmic Grace, and finally the Teacher's Training Course in Lake Chapala, Mexico. Additionally, he has studied the imagery transformation methods taught by Claudette Melchizedek, and by Dr. Gerald Epstein, M.D., all rooted in the ancient esoteric Kabbalah tradition. 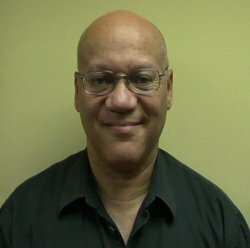 He has also trained in shamanic energy healing, mindfulness meditation, and contemporary healing systems including Reiki, Matrix Energetics, Reconnective Healing, Ho'oponopono: the Hawaiian method of spiritual cleansing, and is a master of Taoist and Shaolin Buddhist martial arts, tai chi chuan, and qigong. He is chair and professor of a graduate program in psychology and has worked in many clinical settings including hospitals, community mental health clinics, rehabilitation centers, schools and colleges with adults, adolescents, and children. He is the co-author of The Book on Internal Stress Release (2015, 2016). The ATIH workshop taught by Dr. Carl Totten was the most inspirational, transcendental experience of my life, so far. I cannot recommend this course taught by Dr. Totten high enough. I thoroughly enjoyed this workshop, and I am so glad I took it with Dr. Carl Totten. He is not only an amazing instructor, but he has a beautiful spirit, and is full of light. Thank you Dr. Totten for a wonderful experience, and thank you Drunvalo for all that you behold, and for helping us all to Remember. With sincere gratitude, Tina R.
Everything about the class content was exactly as expected, the material was a mirror of the videos that Drunvalo has made available. That said, the experience of the moment is where the value is in these workshops, Dr Totton has an incredible amount of training and education and did an excellent job with the class, not to mention the temple was amazing! Absolutely worth the time and effort to attend this workshop in person. Thank you again Dr. Totton! This workshop gave me more dreams than anything I have ever done. Day and night I am dreaming. And they seem to be working out. I have had nothing but good luck since the course. I am looking foreword to continuing my studies. RH. Thank You so much for sharing this information with me. I could not register via the drunvalo.net website because even after PayPal acknowledged my $15 payment, I never received the sign-in info from School.of.Rem. When, a few days later, I requested my \"forgotten\" password, then I could use the site. Carl Totten is the perfect teacher: kind, patient, tuned-in, and knowledgable. I honor his quiet, humor-filled professionalism. I recommend him to all. The teachings I found to be the most important thing ever (!) , but no surprise, and not a huge revelation ... my prior personal practice had revealed everything in the course to me years earlier, but I was rudderless & disoriented in the maze of possibilities -- and unable to reproduce my peak experiences. The guideposts and unifying orientation made the Workshop wonderfully worthwhile for me. I am grateful for the offerings. Thank you. I found the Workshop pace & scheduling way too slow (for me), since I came in with a lot of prior preparation that many others may not have -- a one day workshop would have served just fine. Wonderful experience, Will do it again. I liked Carl fine. he knew the material but not a dynamic presenter. felt breaks were too long and a waste of time. felt the material was dragged out over 4 days and the last 'trick' of flicking our tongues on the roof of our mouths to get to the tiny space of the heart was hoaky. I was not able to get to the tiny space during the final day of class and we did not have any time left to practice. disappointing in that I'd hoped to have the full experience while there. I was also concerned that a few people in the class of 8 were repeating the material-what is that about?